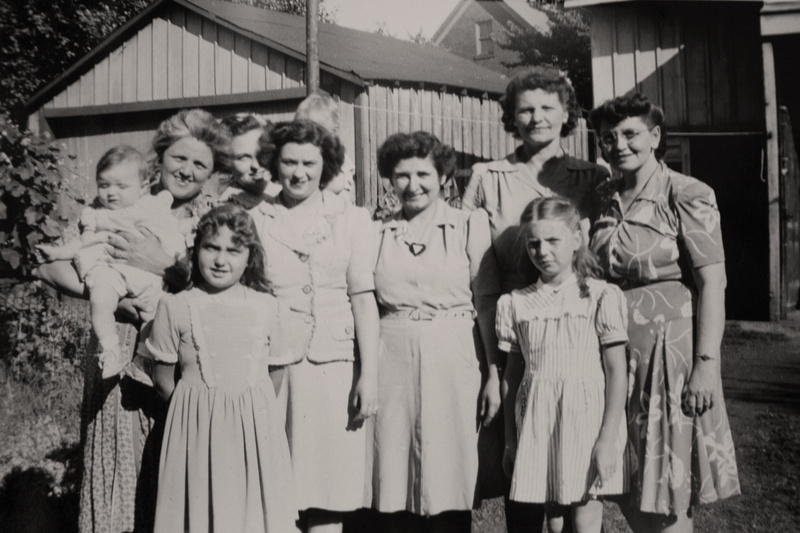 A sequence of photographs taken at a Murosky family gathering in 1944. The photographs were dated using the ages of the children. The photographs were taken in Erie, Erie County, Pennsylvania. 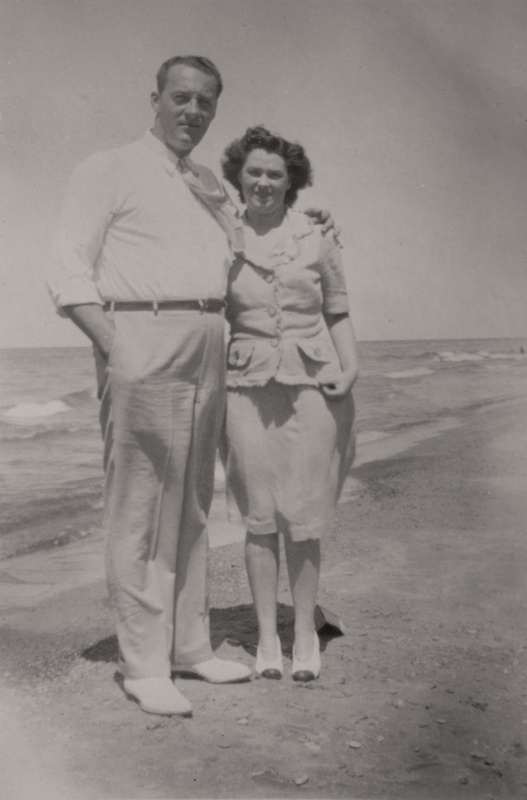 Several of the photographs were taken on the shores of Lake Erie. 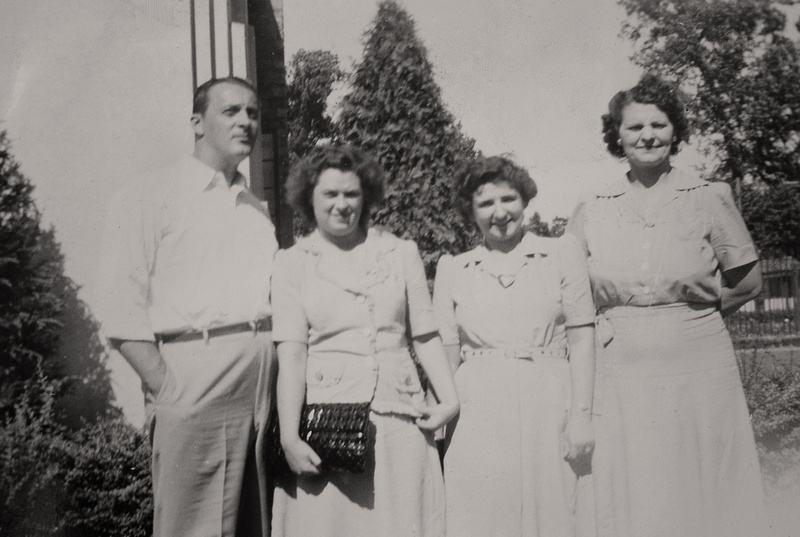 Unknown Man, Unknown Man, Arthur Murosky & Anthony Harry Murosky, Jr.
unknown woman (buttoned jacket), unknown woman (dress with belt), Margaret Murosky, Esther Murosky (floral dress). 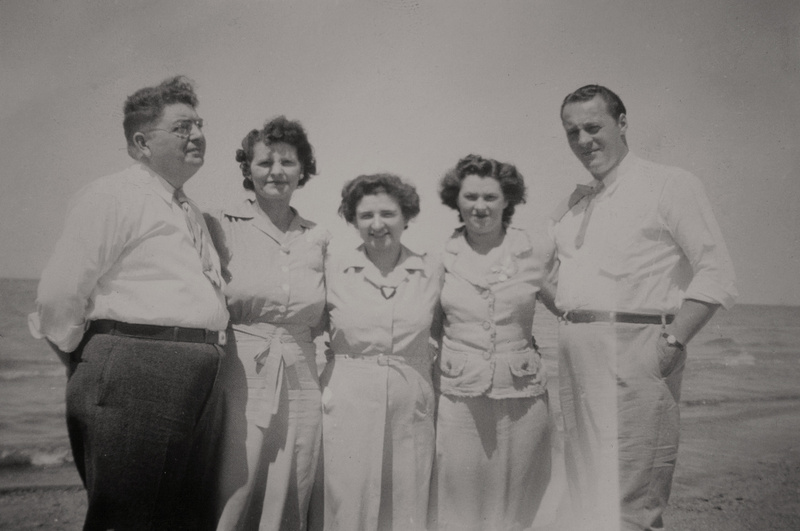 Anthony Harry Murosky, Jr., Margaret Murosky, unknown woman, unkown woman, unknown man. 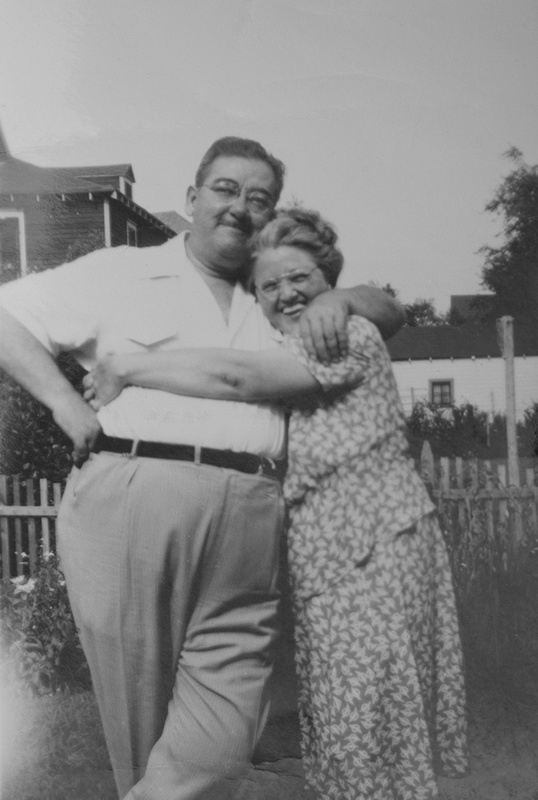 Anthony Harry Murosky, Jr. and Helen Tillie Bukowski are my Great Grandparents. 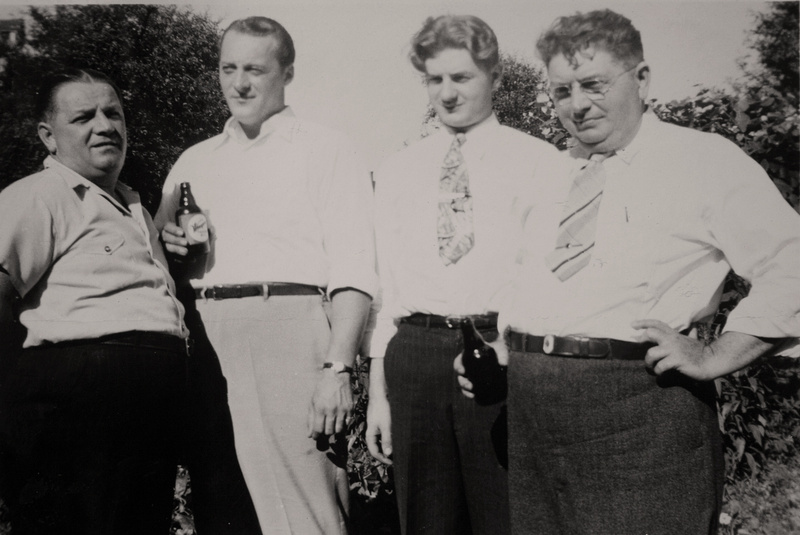 Edward V. Murosky is my Great Uncle. 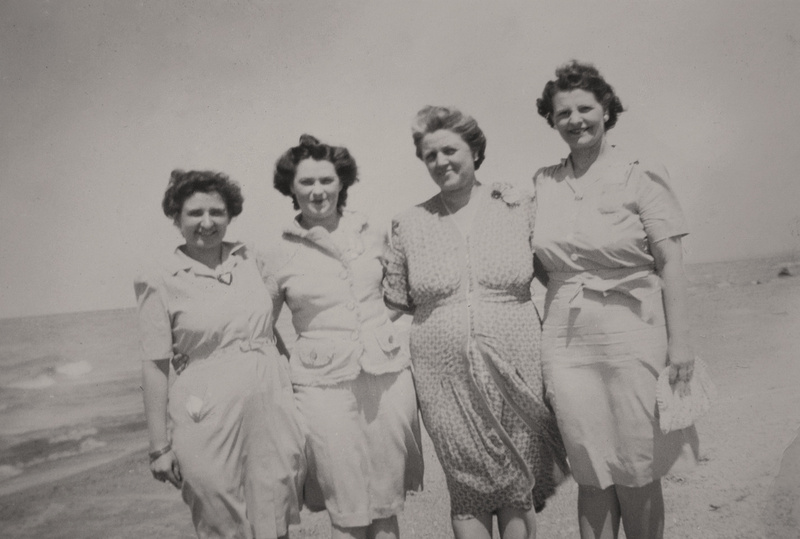 Margaret Murosky and Esther Murosky are my 2nd Great Aunts. Marian Elaine Murosky is my Great Aunt. Mary Eugenia McDonald is my paternal grandmother. James Arthur Murosky is my uncle and Barbara Jean Muroskyis my aunt. Eleanor Sell is my 1st cousin 2x removed.